Welcome to 2019 – we hope you all had a lovely Christmas and New Year and managed some time out amongst on the water despite liquid sunshine! We are happy to announce several new health and well-being options at the marina for the new year. Returning Sunday 13 January, we have Pilates at Lure. 8am start, $5 cash per person, BYO water/ mat. Starting 3 January, we have weekly Sunset Yoga on the grassed area at the top of M/N Arm. $5 cash, BYO water/ mat. Look out for the Vartamana flag. Finally, commencing 8 January, we have weekly Boxing for Fitness classes – again at the grassed area at the top of M/N Arm. $7 cash, BYO water. All welcome. As well as our enviro coffee cups, we are now selling stainless re-usable water bottles at the north and south offices. We would encourage all guests to purchase one on arrival and make use of the cold water available at reception or from the water fountain in the south marina village. 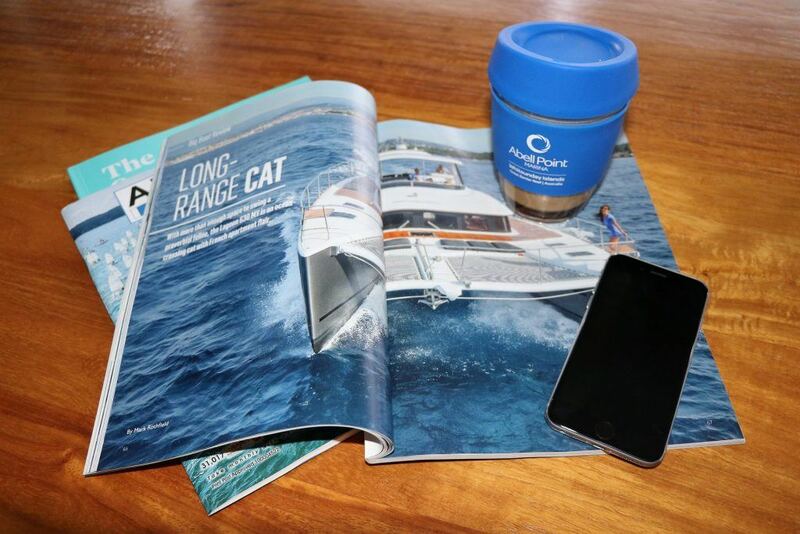 Not only do they make a great keepsake but by purchasing one, you are helping to eliminate the use of single use plastic bottles, which supports our environmental goal of making Australia’s oceans clean. Ocean Club Shipmate’s Sizzler will take place at 7.30am on Thursday 10 January. With the success of last month’s breakfast sizzler, we decided to have it again in the morning whilst the weather is still warm! Our monthly Men’s and Women’s Business networking nights will continue at The Garden Bar, taking place this month on the 17th and 24th respectively. These nights are aimed at bringing people together at the end of a long day to enjoy a drink and a lite bite. Please feel free to join us and spread the word. The weather event we experienced before Christmas was a timely reminder to all boaties about vessel preparedness at this time of year. Our Extreme Weather Vessel Preparedness guide has just been updated so please speak with the team about your copy and if you have any questions come up to the office and speak with our Customer Relations team.